There is a darn good reason my full nickname includes "Frickin' Magical." For those who don't know, I am: Frickin' Magical Giddy Chicken Pickles... but you can call me "Giddy". Actually, the last time I checked, there were several other things added, but for the life of me, I can't remember what they were. The "Frickin' Magical" part was added (I believe by Mr. Nanning) during the first "Formal Drew Day at Disneyland." All I really remember is standing in line for some ride, and Mr. Nanning asking something along the lines of, "but how is that possible?" (yes, it must have been a great comment, to have a rocket scientist ask how something is possible), and my response was, "because I'm frickin' magical... duh." And, lo it came to pass... Frickin' Magical Giddy was born. Don't ask me about the Chicken, or Pickles parts... some stories aren't worth the telling. Suffice it to say, they are there... whether I like it or not. I do know that at some point, "we" decided it would be Teh Funny to forever add words to my nickname, and maybe in the future, after I retire, I can submit it to Guinness as the longest nickname ever. No really, I have witnesses. I have recently realized that my life really is "frickin' magical." Yes, part of it may be the way I look at life, and my tendency to take things in stride. 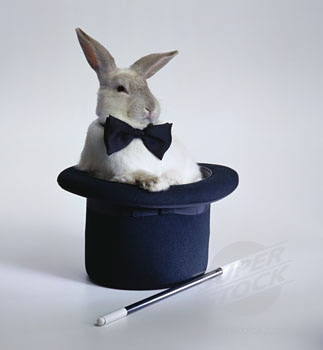 But, I really feel like I am so very fortunate... not only now, but time and time again I seem to manage to pull a rabbit out of whatever hat is presented to me. I didn't want to teach, yet, teaching was the best opportunity, and closest match to my degree and experience, so I took the job. Suddenly, a million opportunities opened up, and a path that seemed vastly overwhelming at first is presenting itself as a thousand tiny (relatively easy) steps. Opportunity abounds, and seems to be throwing itself at my very feet. Literally, I got an email yesterday regarding a grant for my education. Yes, I have to go back to school to earn a credential, and yes, the program I have decided on is accelerated thus costs more, but the state and the feds are willing to help me pay for the education that is going to get me that credential. All the sudden, I'm on a path to have a teaching credential and Master's Degree in Special Education by next fall. Not that it's going to be easy, but suddenly it is the opportunity that is in front of me now. It is the path I am on, and I'm not quite sure how I got here. I never expected to go to a 4-year college, let alone go beyond an undergraduate degree. Hell, I figure it was mere luck and personality that got me through high school. And, here I am... luck, personality, frickin' magical-ness... whatever it is that has brought me to this point. I have exactly what it is that I told the universe I wanted. I live in a house near my parents. With old growth trees and squirrels. With a man that I am more in love with than I ever thought possible. With a child that is smarter and sweeter than I could have imagined. With friends who are amazing and generous. With a future that is brighter than I could have dreamed. I'm going to cry I'm so happy for you. Could be the hormones, but I'll go with it. So proud of you!!! Realizing we HAVE the life we have always been told we deserve is mind blowing. I can't think of anyone I believe deserves it more than you! That is so freakin awesome! I am so happy for you too. Love reading something like this. I am so happy for you and your magicalness. =) You deserve everything you have now and is yet to come.